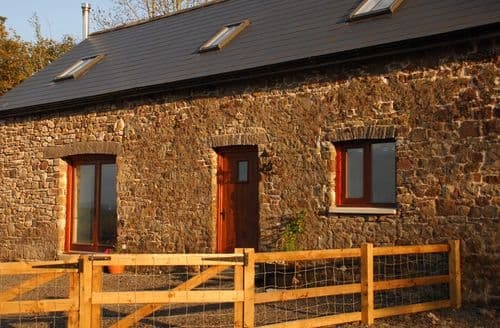 What our customers are saying about our Holiday Cottages In Ammanford To Rent. "I spent New Years Eve and a few more days at S4763. I was amazed how nice it was (better than on the pictures). The size of the house was just perfect. Usually when you say cottage, I imagine a huge house. This one was not. But it was perfect and cosy. You can find everything you need inside - from cups and plates, to washing machine and tumble dryer. And just to mention welcome pack - bottle of champagne and box of shortbread, which was a very nice touch. Cottage was clean and tidy. Garden is beautiful as well, although we couldn't enjoy it as much as it was raining non-stop. I can only imagine how beautiful it is in summer. Due to the bad weather we could't explore Brecon Beacon, but we had a chance to see a tiny bit of it. The cottage is on the edge of the national park. We managed to see a few sheep as well as a few horses, which was a big attraction for us. 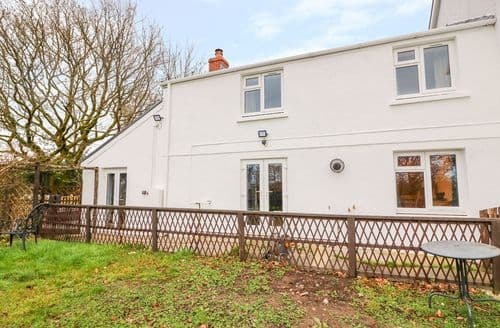 I chosen this cottage because the owner was very helpful when I called to ask for details. She is very polite lady, she made our stay unforgettable. She sent me all maps and information pack to ensure that we have a good time. She also sent me an welcome email on the first day as well as goodbye email on our last day. That was very nice. I would definitely go back and I would deeply recommend this place.Clean and comfortable. Welcome pack is always a lovely surprise. The garden is great if you have dogs - leave a bowl out for the Hedgehog.We had a lovely week in this welcoming cottage. It was clean, comfortable, well-equipped and large enough to comfortably accommodate our family of four. Other than a dishwasher (I'm being lazy! ), the kitchen had everything you'd need if you wanted to eat at home, including a smoothie-maker and slow cooker. If you'd rather not cook, there's a Chinese, Indian and fish and chips within walking distance. There's plenty of books and games to choose from in the evenings, and the free Wi-Fi was very welcome. Linen and towels were provided, and the bathroom was large, with a bath and shower overhead (you have to practise to get the temperature right!). There is a lovely garden to the back - although we didn't quite have garden weather! - and views of the hills behind. Although the cottage is terraced, the walls are very thick (with the added advantage of keeping the heat in), so we didn't hear anything from our neighbours (and hopefully they didn't hear us!). The welcome pack awaiting us in the kitchen was a lovely touch. Although perhaps not situated in the prettiest village, there are some lovely walks from the cottage, and the village is well-equipped with grocery stores and take-aways. It is also a great base from which to explore lots of south Wales, including Dan Yr Ogof caves, Swansea, Carren Cennen castle, Pen Y Fan, the Mumbles, Rhosilli and the rest of the Gower peninsula. All in all, we had a lovely week, and wouldn't hesitate to recommend S4763.Arrived at the cottage to find a lovely welcome ,wine and welsh cakes ,the cottage is beautiful well equipped a real home from home .ideally situated to visit the beautiful Brecon Beacons ,the Gower and Pembroke Coast ..We will definitely returnAlthough it doesn't look much from the front S4763 is tastefully decorated inside & is very comfortable. It has a well equipped kitchen & a lovely bathroom. From the back the cottage is charming with a beautiful garden which is peaceful & has a more rural feel. The village has all the basic amenities & we had some lovely trips out to beautiful beaches on the Gower, Castles & mountains. There are also some nice pubs not too far away. I would stay there again when I next visit my family in Wales. What I liked best was the comfortable,nicely decorated & furnished home & the lovely garden. 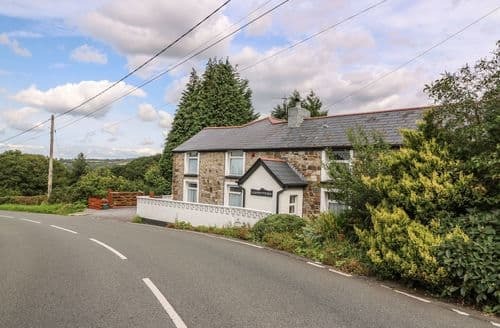 What I liked least was no dish washer and an open fire place would be nice to have if you stayed in cooler weather.A very clean, very well equipped cottage affording a restful ambience yet being not too far to reach the South Wales and The Gower attractions. A thank you to the Sykes agent who told us about the possibility of road traffic noise but we did not find this an actual problem during our stay. 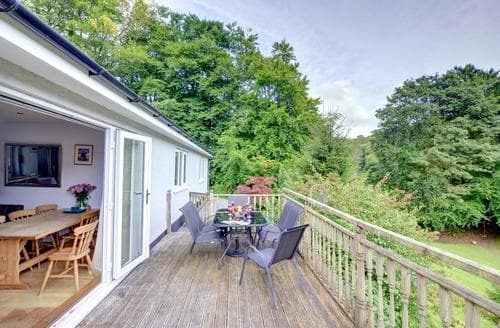 Yet another successful holiday experience for us thanks to the good information and ease of finding out about Sykes cottages and the on-line ease of securing the holiday." "Clean and comfortable. Welcome pack is always a lovely surprise. The garden is great if you have dogs - leave a bowl out for the Hedgehog.We had a lovely week in this welcoming cottage. It was clean, comfortable, well-equipped and large enough to comfortably accommodate our family of four. Other than a dishwasher (I'm being lazy! ), the kitchen had everything you'd need if you wanted to eat at home, including a smoothie-maker and slow cooker. If you'd rather not cook, there's a Chinese, Indian and fish and chips within walking distance. There's plenty of books and games to choose from in the evenings, and the free Wi-Fi was very welcome. Linen and towels were provided, and the bathroom was large, with a bath and shower overhead (you have to practise to get the temperature right!). There is a lovely garden to the back - although we didn't quite have garden weather! - and views of the hills behind. Although the cottage is terraced, the walls are very thick (with the added advantage of keeping the heat in), so we didn't hear anything from our neighbours (and hopefully they didn't hear us!). The welcome pack awaiting us in the kitchen was a lovely touch. Although perhaps not situated in the prettiest village, there are some lovely walks from the cottage, and the village is well-equipped with grocery stores and take-aways. It is also a great base from which to explore lots of south Wales, including Dan Yr Ogof caves, Swansea, Carren Cennen castle, Pen Y Fan, the Mumbles, Rhosilli and the rest of the Gower peninsula. All in all, we had a lovely week, and wouldn't hesitate to recommend S4763.Arrived at the cottage to find a lovely welcome ,wine and welsh cakes ,the cottage is beautiful well equipped a real home from home .ideally situated to visit the beautiful Brecon Beacons ,the Gower and Pembroke Coast ..We will definitely returnAlthough it doesn't look much from the front S4763 is tastefully decorated inside & is very comfortable. It has a well equipped kitchen & a lovely bathroom. From the back the cottage is charming with a beautiful garden which is peaceful & has a more rural feel. The village has all the basic amenities & we had some lovely trips out to beautiful beaches on the Gower, Castles & mountains. There are also some nice pubs not too far away. I would stay there again when I next visit my family in Wales. What I liked best was the comfortable,nicely decorated & furnished home & the lovely garden. What I liked least was no dish washer and an open fire place would be nice to have if you stayed in cooler weather.A very clean, very well equipped cottage affording a restful ambience yet being not too far to reach the South Wales and The Gower attractions. A thank you to the Sykes agent who told us about the possibility of road traffic noise but we did not find this an actual problem during our stay. 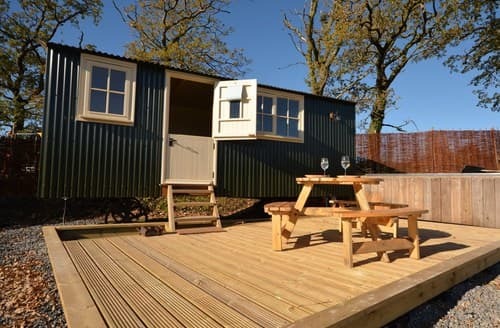 Yet another successful holiday experience for us thanks to the good information and ease of finding out about Sykes cottages and the on-line ease of securing the holiday." "We had a lovely week in this welcoming cottage. It was clean, comfortable, well-equipped and large enough to comfortably accommodate our family of four. Other than a dishwasher (I'm being lazy! ), the kitchen had everything you'd need if you wanted to eat at home, including a smoothie-maker and slow cooker. If you'd rather not cook, there's a Chinese, Indian and fish and chips within walking distance. There's plenty of books and games to choose from in the evenings, and the free Wi-Fi was very welcome. Linen and towels were provided, and the bathroom was large, with a bath and shower overhead (you have to practise to get the temperature right!). There is a lovely garden to the back - although we didn't quite have garden weather! - and views of the hills behind. Although the cottage is terraced, the walls are very thick (with the added advantage of keeping the heat in), so we didn't hear anything from our neighbours (and hopefully they didn't hear us!). The welcome pack awaiting us in the kitchen was a lovely touch. Although perhaps not situated in the prettiest village, there are some lovely walks from the cottage, and the village is well-equipped with grocery stores and take-aways. It is also a great base from which to explore lots of south Wales, including Dan Yr Ogof caves, Swansea, Carren Cennen castle, Pen Y Fan, the Mumbles, Rhosilli and the rest of the Gower peninsula. All in all, we had a lovely week, and wouldn't hesitate to recommend S4763.Arrived at the cottage to find a lovely welcome ,wine and welsh cakes ,the cottage is beautiful well equipped a real home from home .ideally situated to visit the beautiful Brecon Beacons ,the Gower and Pembroke Coast ..We will definitely returnAlthough it doesn't look much from the front S4763 is tastefully decorated inside & is very comfortable. It has a well equipped kitchen & a lovely bathroom. From the back the cottage is charming with a beautiful garden which is peaceful & has a more rural feel. The village has all the basic amenities & we had some lovely trips out to beautiful beaches on the Gower, Castles & mountains. There are also some nice pubs not too far away. I would stay there again when I next visit my family in Wales. What I liked best was the comfortable,nicely decorated & furnished home & the lovely garden. What I liked least was no dish washer and an open fire place would be nice to have if you stayed in cooler weather.A very clean, very well equipped cottage affording a restful ambience yet being not too far to reach the South Wales and The Gower attractions. A thank you to the Sykes agent who told us about the possibility of road traffic noise but we did not find this an actual problem during our stay. Yet another successful holiday experience for us thanks to the good information and ease of finding out about Sykes cottages and the on-line ease of securing the holiday." "We had a lovely week in this welcoming cottage. It was clean, comfortable, well-equipped and large enough to comfortably accommodate our family of four. Other than a dishwasher (I'm being lazy! ), the kitchen had everything you'd need if you wanted to eat at home, including a smoothie-maker and slow cooker. If you'd rather not cook, there's a Chinese, Indian and fish and chips within walking distance. There's plenty of books and games to choose from in the evenings, and the free Wi-Fi was very welcome. Linen and towels were provided, and the bathroom was large, with a bath and shower overhead (you have to practise to get the temperature right!). There is a lovely garden to the back - although we didn't quite have garden weather! - and views of the hills behind. Although the cottage is terraced, the walls are very thick (with the added advantage of keeping the heat in), so we didn't hear anything from our neighbours (and hopefully they didn't hear us!). The welcome pack awaiting us in the kitchen was a lovely touch. Although perhaps not situated in the prettiest village, there are some lovely walks from the cottage, and the village is well-equipped with grocery stores and take-aways. It is also a great base from which to explore lots of south Wales, including Dan Yr Ogof caves, Swansea, Carren Cennen castle, Pen Y Fan, the Mumbles, Rhosilli and the rest of the Gower peninsula. All in all, we had a lovely week, and wouldn't hesitate to recommend S4763." 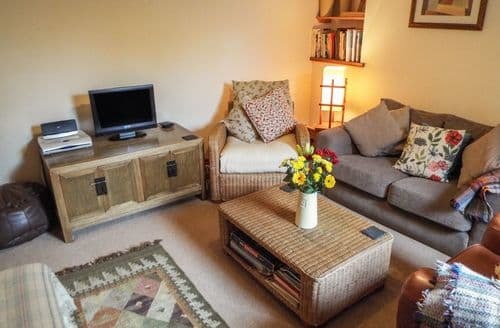 "Arrived at the cottage to find a lovely welcome ,wine and welsh cakes ,the cottage is beautiful well equipped a real home from home .ideally situated to visit the beautiful Brecon Beacons ,the Gower and Pembroke Coast ..We will definitely returnAlthough it doesn't look much from the front S4763 is tastefully decorated inside & is very comfortable. It has a well equipped kitchen & a lovely bathroom. From the back the cottage is charming with a beautiful garden which is peaceful & has a more rural feel. The village has all the basic amenities & we had some lovely trips out to beautiful beaches on the Gower, Castles & mountains. There are also some nice pubs not too far away. I would stay there again when I next visit my family in Wales. What I liked best was the comfortable,nicely decorated & furnished home & the lovely garden. What I liked least was no dish washer and an open fire place would be nice to have if you stayed in cooler weather.A very clean, very well equipped cottage affording a restful ambience yet being not too far to reach the South Wales and The Gower attractions. A thank you to the Sykes agent who told us about the possibility of road traffic noise but we did not find this an actual problem during our stay. Yet another successful holiday experience for us thanks to the good information and ease of finding out about Sykes cottages and the on-line ease of securing the holiday."